Today I sewed up this quick little zip bag, a request from my mum who needed a new bag to hold her scrabble tiles. 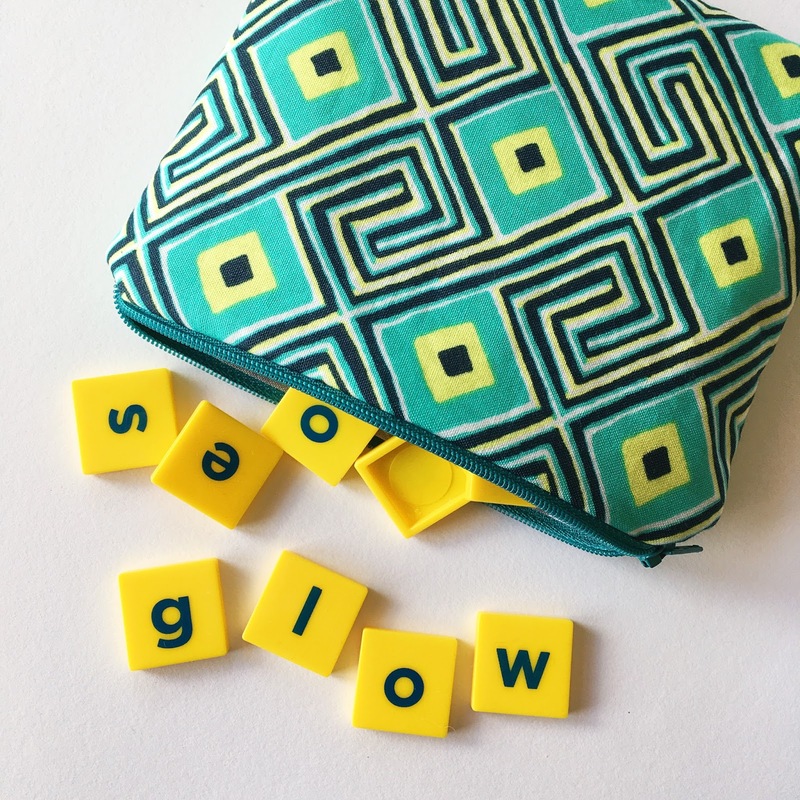 She takes her scrabble board on holiday and plays a lot, so she requested a bag with a zip to keep the tiles safe and protected. I used Maze in Grass, Glow by Amy Butler for the outside and a pretty grey leaf print for the inside. 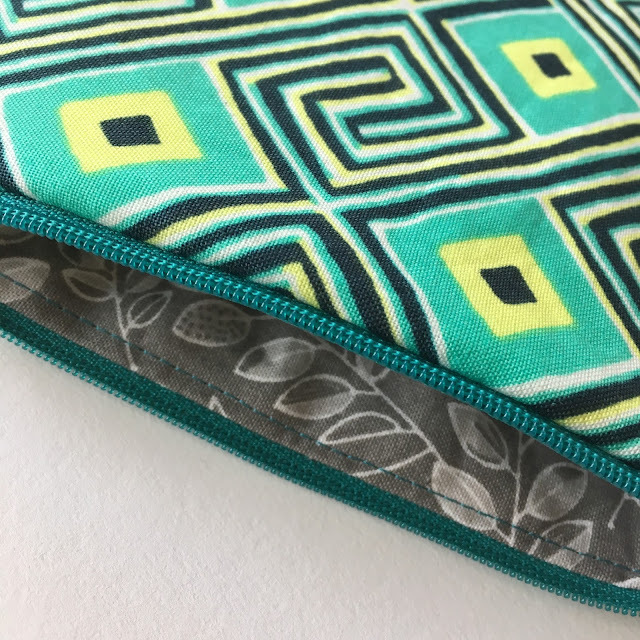 I didn't do zip ends so it has some funky diagonal corners going on at the top but I'm ok with that and it kind of works with the pattern of the fabric. 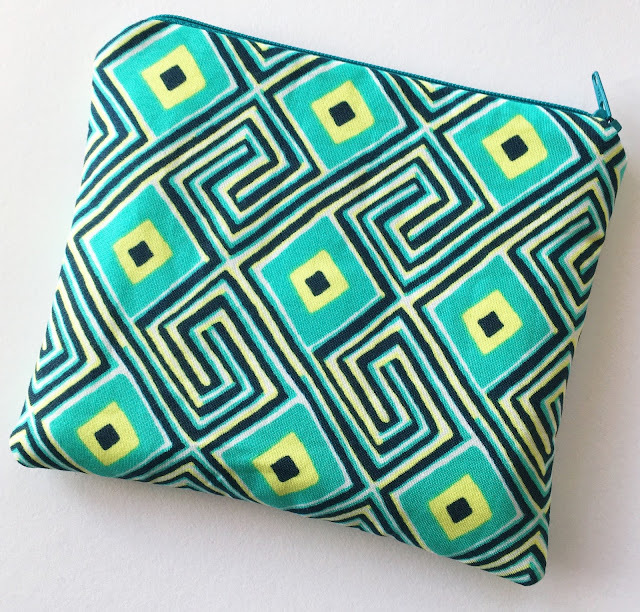 I also made a start on another Secret Pocket Envelope Clutch, they are so fun to make and I'm doing all the different sizes. This time I'm making it all out of patchwork, using a mini origami pack of Retro 30's Child Smile by Lecien that I got from Sunny Day Supply. 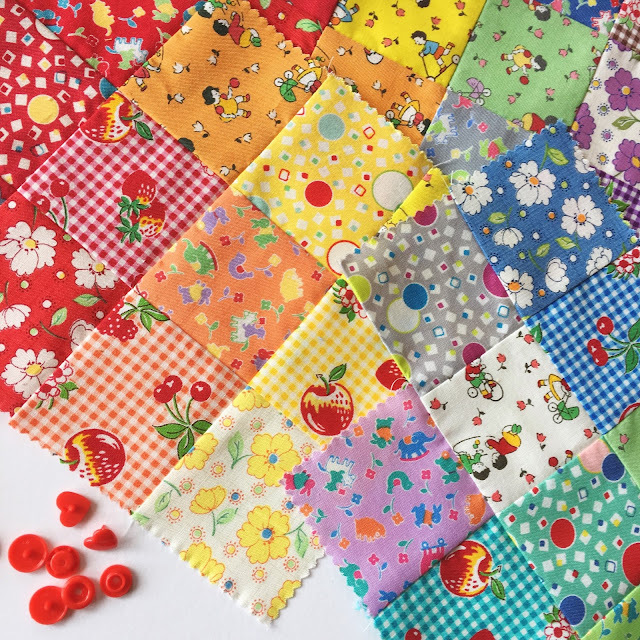 The cuteness of these prints combined with the heart Kam snap is bringing me joy! Last night I was productive too, finally piecing the backing for my rose star quilt. I'm using Oakshott cotton. 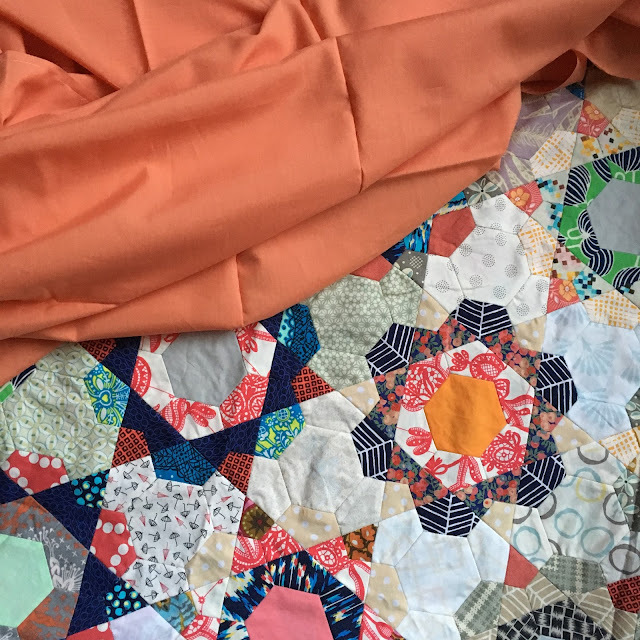 This colour is Coral from the Jewel Collection, which I purchased with the intention of using it as backing for this quilt way back in 2012. Maybe I will actually baste it soon?! That bit is my least favourite now and probably partially why I have so many quilt tops sitting waiting. Let's hope my productivity and enthusiasm continue all week! Yeh for productivity! I love your Scrabble tiles bag- great idea! Go on, get cracking with layering that gorgeous quilt top!